A bad batch of synthetic weed caused a number of people in Brooklyn to experience discomfort & nausea, but fortunately there were no casualties. Synthetic weed is popular in part because it doesn’t show up on drug tests, but it can sometimes be very unpredictable as you never know which chemicals might be mixed in. That’s why the latest incident in Brooklyn, where at least 33 people badly overdosed on a particular cannabinoid product, was rather scary for the local residents who saw a crowd of people exhibiting a total loss of body control. The victims were suffering from convulsions and were found falling, twitching and stumbling all over the sidewalk in a Brooklyin, NY neighborhood that’s well known for recreational use of drugs. 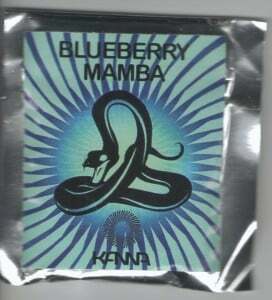 Blueberry mamba is a type of synthetic weed. According to witnesses, a group of people started losing it soon after smoking some synthetic weed, with the scene looking extremely disturbing due to high number of people involved and their confusing behavior. Calls to emergency centers came in rapid succession and soon the area was full of medical workers trying to tend to incapacitated smokers. The entire group was hospitalized and received basic care, but came back to their senses as the effects of the drug wore off. It seems clear they were all using the same product that was likely tainted by an unknown chemical agent. The incident happened near an intersection that is developing a reputation for frequent sales/use of synthetic weed, known locally by the street name ‘K2’ and marketed under a number of brands. These psychoactive substances are illegal in the state of New York, but apparently can be obtained with ease in some locations. One of the main problems with these synthetic blends is that the presence of impurities is impossible to detect by even a heavy user and while potency can very quite wildly from batch to batch there is no regulations to say how potent that can make them. Another big problem is the lack of information provided about them as due to the way they are sold – not for human consumption – the packets do not state dosages and retailers are scared to give advice. That’s why visits to the emergency room after smoking synthetic weed are not a rare occurrence, with anxiety, vomiting and hallucinations reported as the most frequent side effects.